I recently bought a Wii U and have not owned a Nintendo home console since the GameCube so I am fairly new to using the hardware having owned different consoles and mostly gaming on Windows.. Also not quite sure if this is the right place to post this or if this topic has already been answered before. Is it not possible to control the Wii U menu with the icons on the TV while using the gamepad? I can only seem to control it while the icon menu is on the TV with the pro controller. With the gamepad I seem to be able to only control it on the gamepad LCD screen. I've tried searching through the settings seeing if there is a way to switch it with no luck. Maybe I'm not looking correctly which I hope I am. Any response in regards to this would be greatly appreciated. That is correct, no way to change it I think. Kinda annoying, but not a huge deal. It's a two screen experience with the menus. I actually like it. Many find Wara Wara Plaza to be silly but it can be quite useful. So, as you can scroll the icons on the gamepad, Wara Wara plaza is feeding you info on the latest and greatest, most talked about games, what your friends are saying etc. 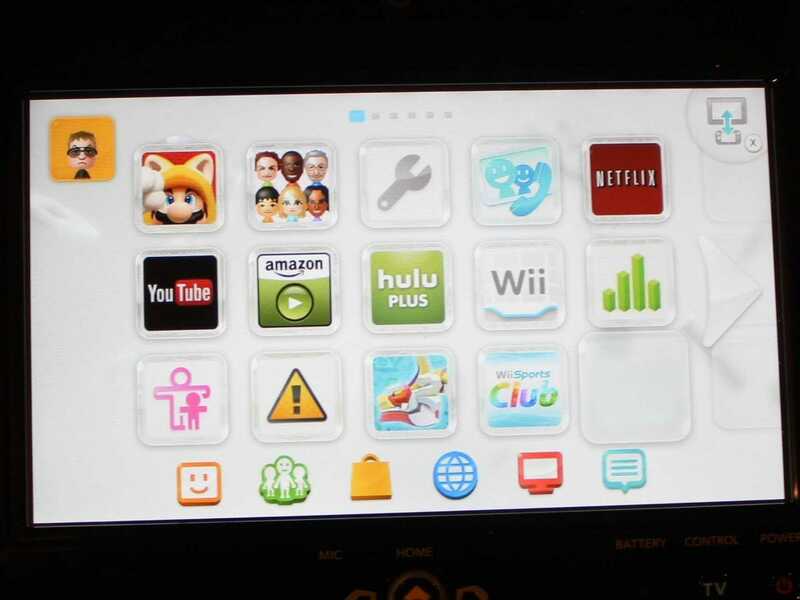 You can however control the Wii U menu icons by sending the gamepad screen to your TV. Basically the TV screen and Gamepad screen switch places. So your view changes. To do so, simply look for the little toggle icon in the upper right of the gamepad screen, or hit x ... see below. Unless I am not understanding your question, this should help. On the Pro controller you should be able to press "X" to switch the two screens around (as indicated by the icon in the bottom right corner of the tv). On Wii remotes you can press "1"
I think you may have misunderstood me. When switching the menu from the gamepad to the TV I am unable to control the curser with the analog stick or the D-Pad using the gamepad but I can move the cursor with the pro controller. I seem to be only to move the curser with the gamepad when the menu is switched back to the gamepad LCD screen. Yes that's not possible. No I don't know why. The main reason is because you've got a touch screen in front of you lol. I see. Thanks guys for the answers. I just hate looking down on the LCD screen lol. Oh well. Guess it's not that big of a deal. I just hate looking down on the LCD screen lol. Welcome to my world!.. not holding my breath, but perhaps in a future update? Edited by Miseryguts, 03 February 2015 - 11:38 AM. Once you toggle the Wii U menu to your tv and have wara wara plaza on your gamepad, you no longer need to look at the gamepad when navigating. Or, just use the pro controller. Or turn on the wii u and update it lol. I got my Wii U in 2013 and it did it then. So he has not updated in 3 years? Means not plyed anything since then either as it would have updated.